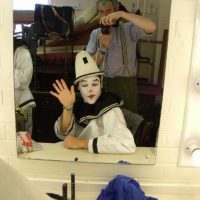 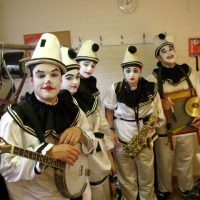 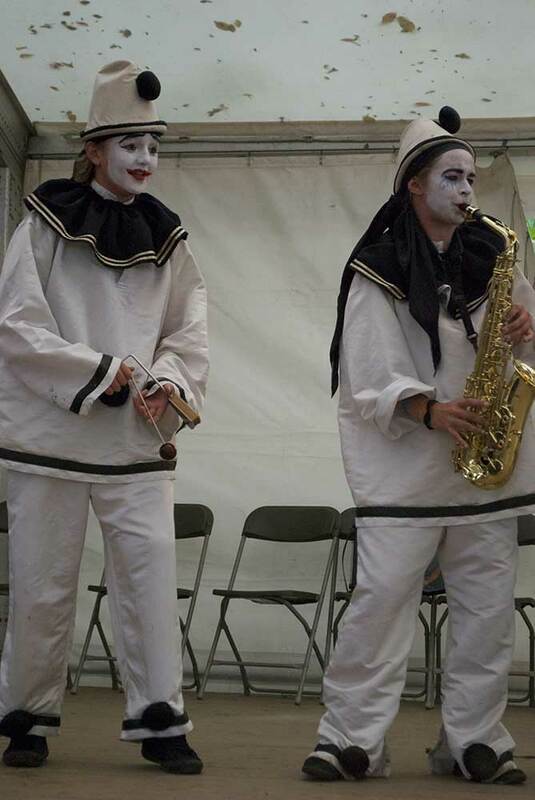 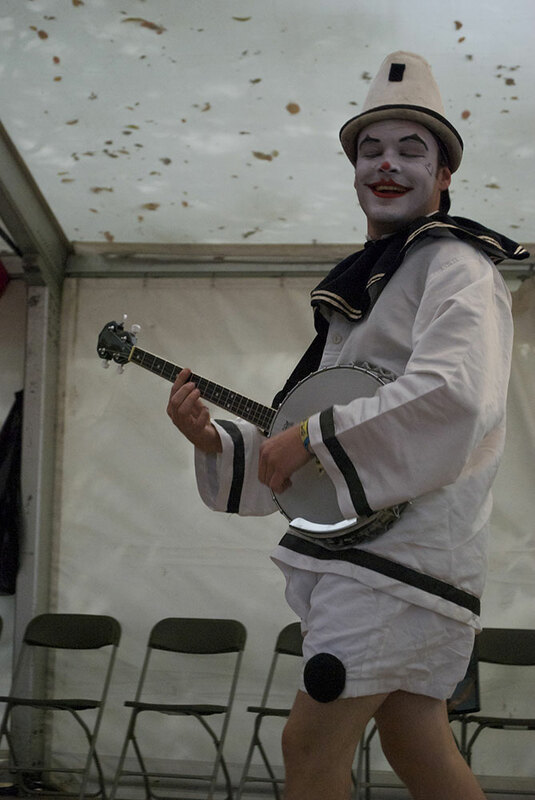 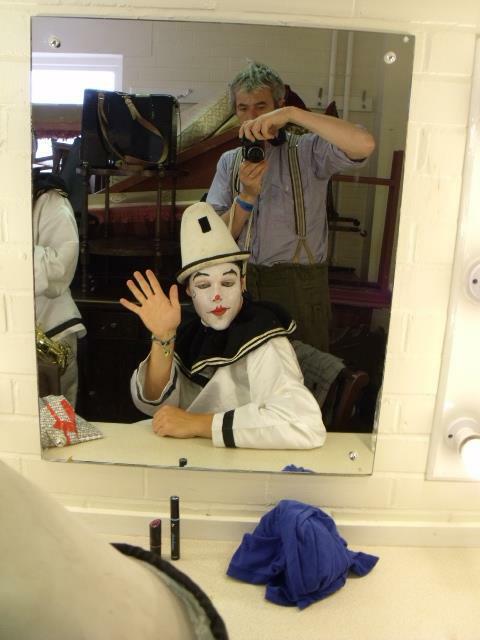 The Pier We Goes was a short pierrot project for Sidmouth Folk Festival in 2011, looking at seaside entertainment and mischief-making. 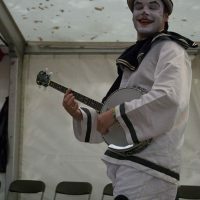 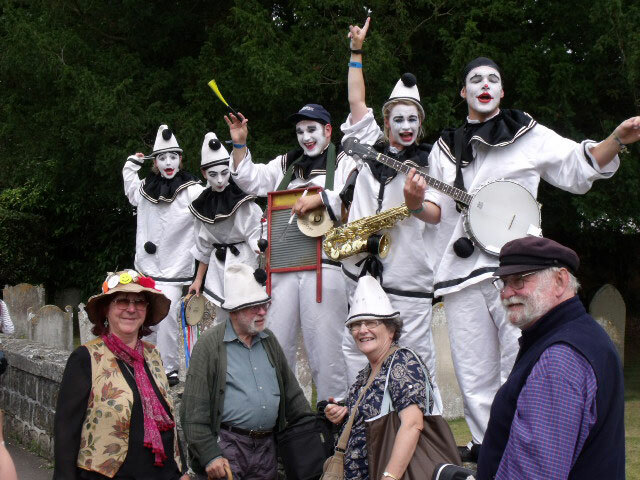 Following-on from several years performing at Sidmouth Festival with ‘The Pierrotters’, followed by a series of workshops in subsequent years on nonsense, Uncle Tacko! 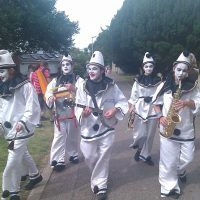 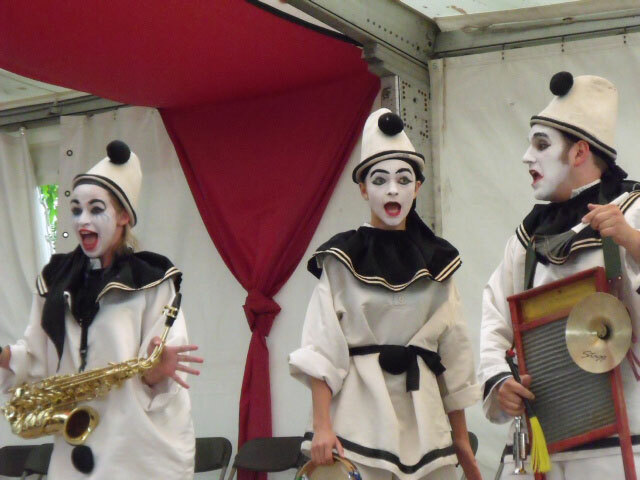 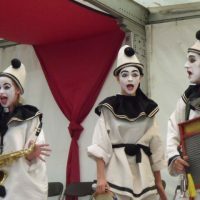 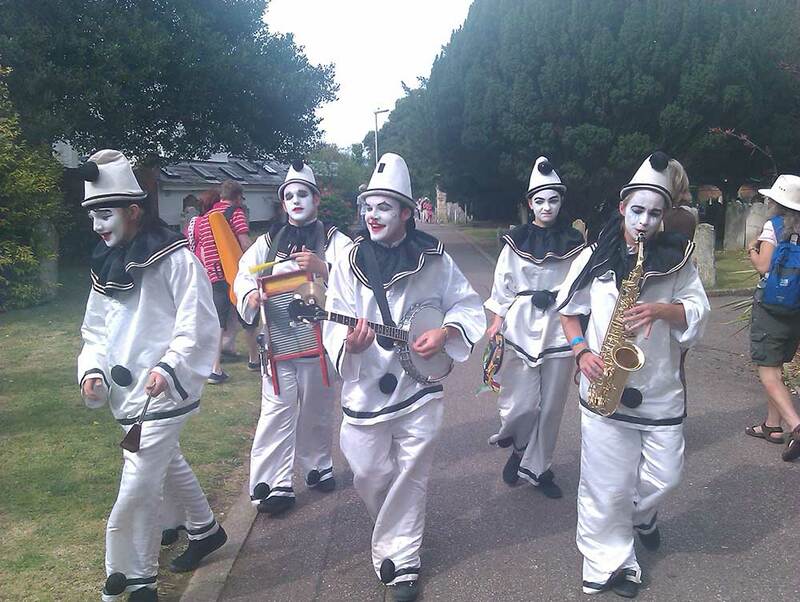 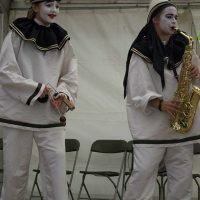 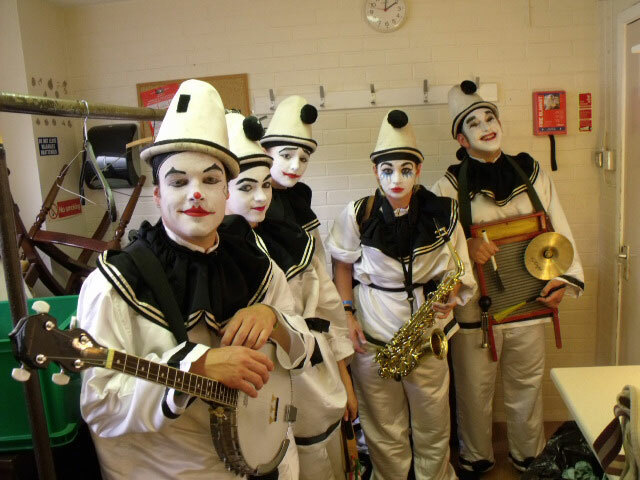 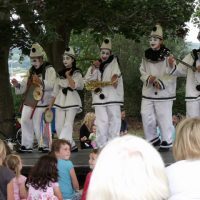 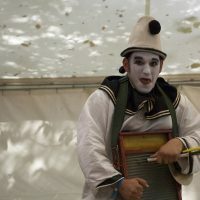 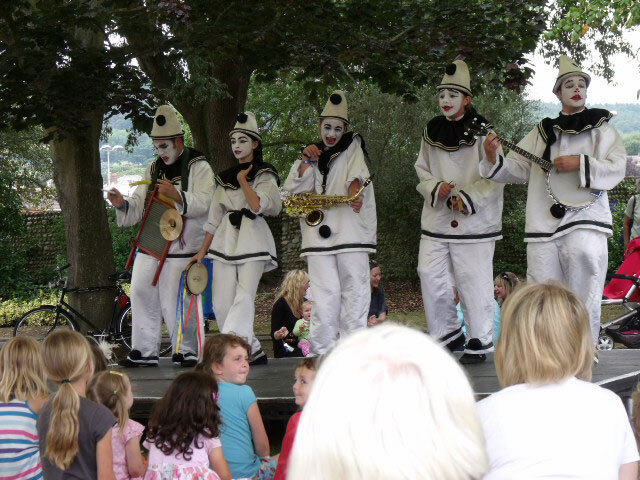 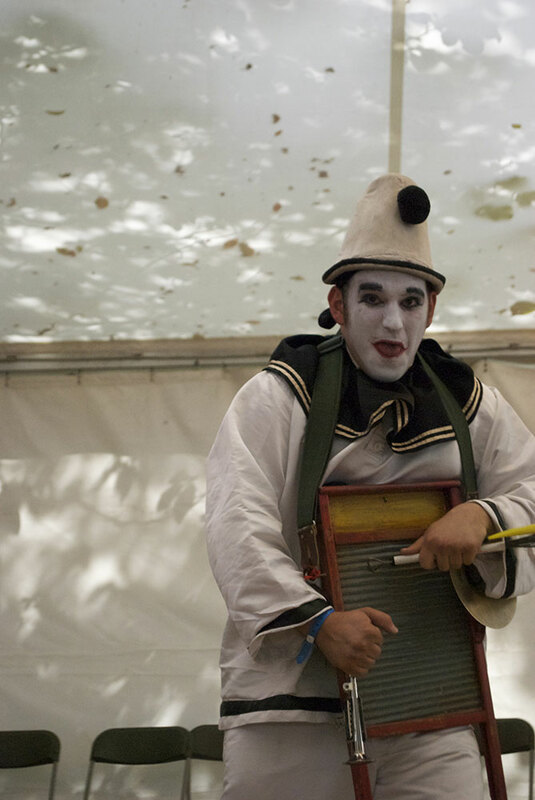 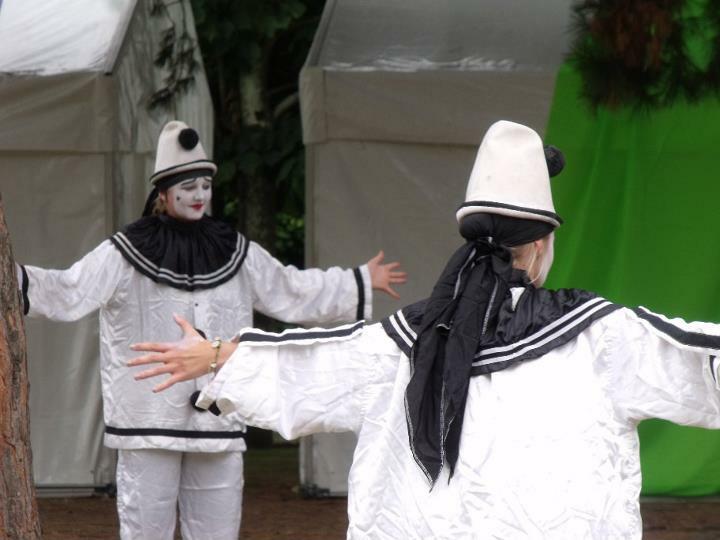 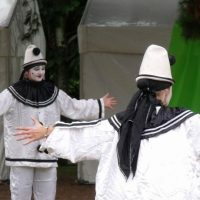 worked with local students and 3 of the ‘Pier Echoes’ (Umberto, Bunny & Niko) to create a walkabout pierrot troupe to entertain folk in Blackmore Gardens and around the town.